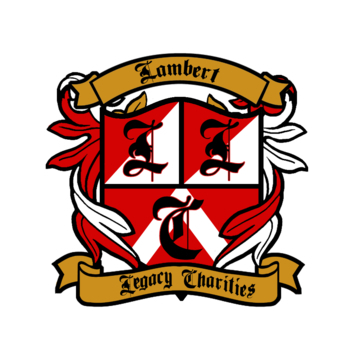 Lambert Legacy Charities hasn't added a story. Each year we host an annual clothing drive (with free new and gently used clothing), community feast and concert in a different community area. Our goal, in line with our organization’s mission, is to encourage community cooperation, philanthropy, education and enhance the quality of life for all of those involved. As we became further entrenched in the education realm, we couldn’t help but to be caught up in the struggles of the educators. Despite the propaganda, most are invested in the success of their students and have to personally invest financially to ensure mediocre successes. 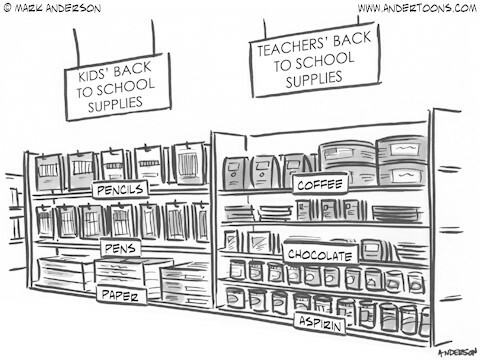 Meaning that teachers across Philadelphia have to purchase basic classroom items such as paper, books, pens, pencils, etc. They may have only one computer for a classroom of 35, etc. The technology is behind the times, the students are “needy” and most teachers may be on the verge of burn-out despite their best efforts. Don’t get me started on the lack of student services, the ratio of guidance counselors at one PHL high school is 1:800 – how can you effectively counsel anyone!? 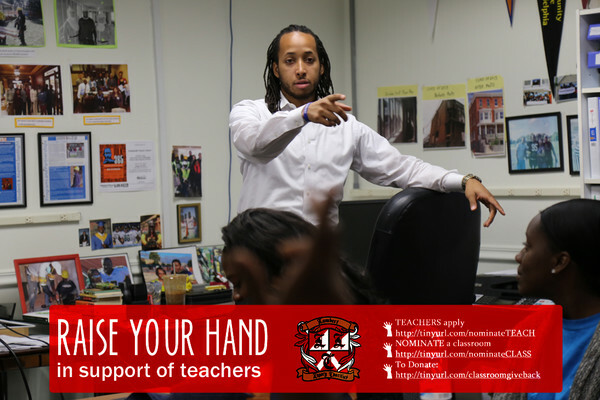 With that in mind, this year instead of raising funds to impact a community for just one day, we began fundraising and collecting in-kind donations of supplies for classrooms, to support teachers all across the city from January – June! Mid-way through the school year is a great time to infuse supplies (basics and technology) back into the classroom. and tell us their needs in advance, so we can assess where the donations should go. It continues to be important to me that we invest in strategies to support our community that will prove sustainable and offer ongoing supplements to community members. 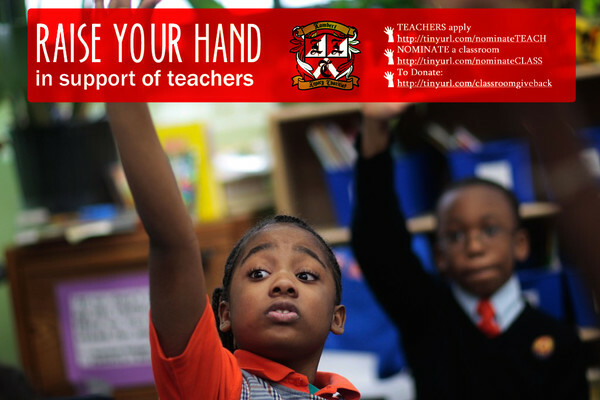 What better way than to support the educators? 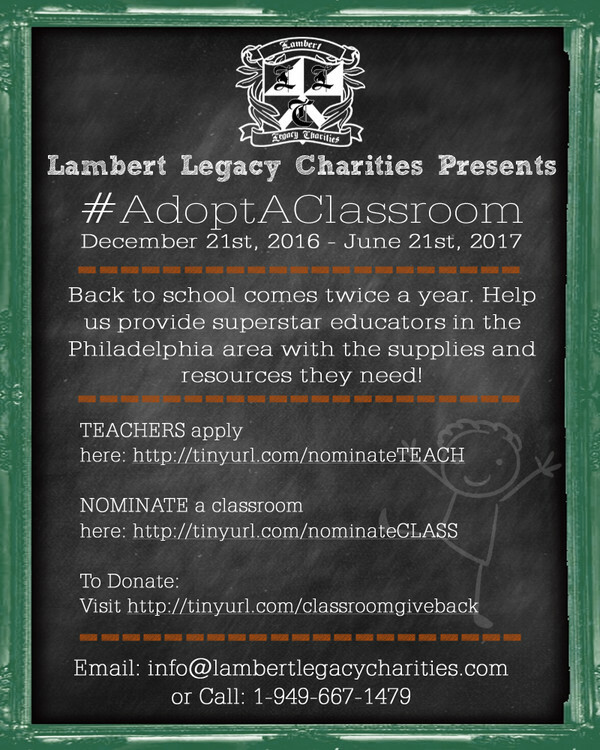 Lambert Legacy Charities hasn't posted any updates yet. Lambert Legacy Charities is managing the funds for this campaign. The campaign is for a personal cause.